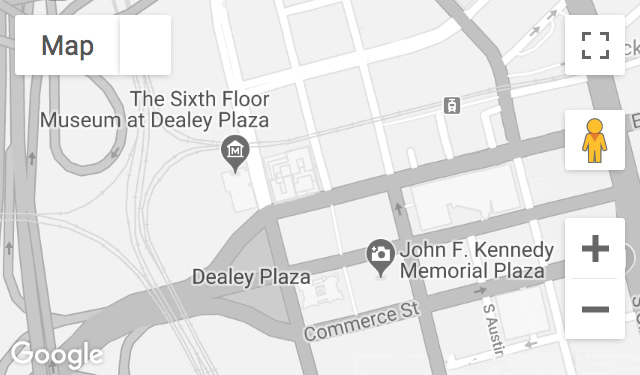 If you’re looking for interesting, unique gifts this holiday season, stop by the Museum Store + Café, located adjacent to The Sixth Floor Museum at Dealey Plaza on the corner of Elm and Houston St. in downtown Dallas. You’ll find just the right gift for anyone who made your nice list this year, with items you won’t find elsewhere. Plus, you can feel good about your purchases knowing they directly support Museum exhibits and programs. The Museum Store + Café offers two of President Kennedy’s favorite fragrances. Eight & Bob was introduced onto the market after a young John F. Kennedy met Albert Fouquet, the son of a Parisian socialite, while on a trip to France. 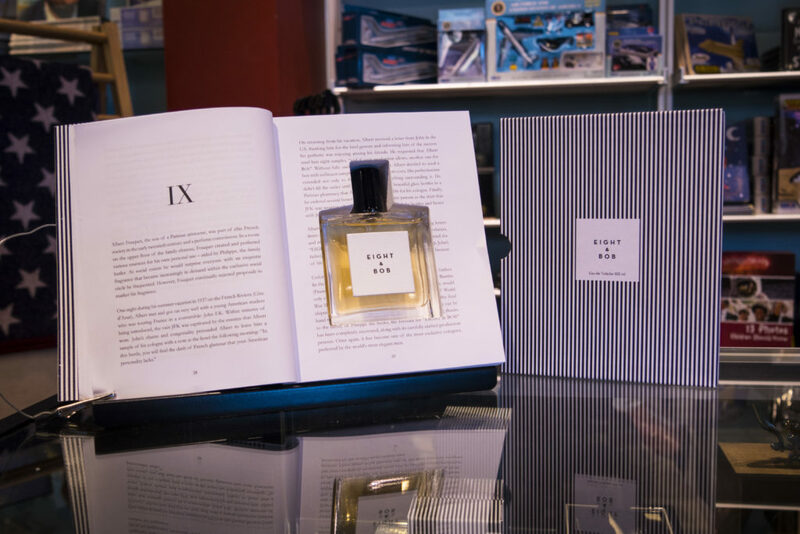 Kennedy liked Fouquet’s cologne so much that upon his return to the United States, he asked Fouquet to send eight samples of the fragrance to him, and “if your production allows, one for Bob.” Hence the name “Eight & Bob.” The fragrance comes in a beautiful book display that explains the fragrance’s origin story and makes an excellent gift. It is priced at $175. 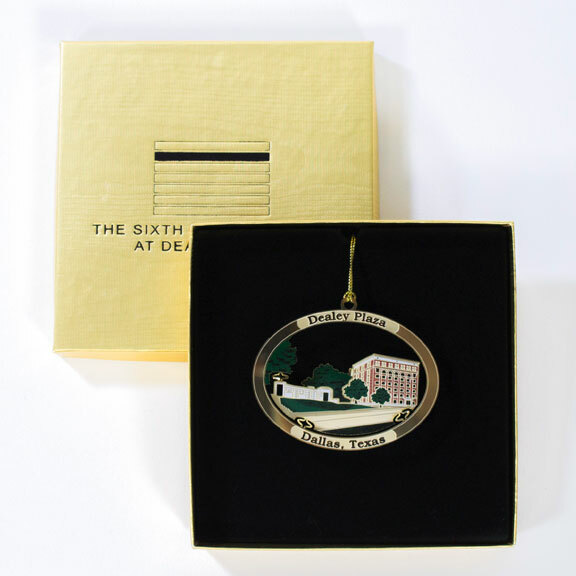 The Museum Store + Café has a wide variety of ornaments, including White House ornaments and Texas ornaments made by local artisans. Buy an ornament that reminds you of your trip to the Museum to hang on your own tree, or gift one to a friend! 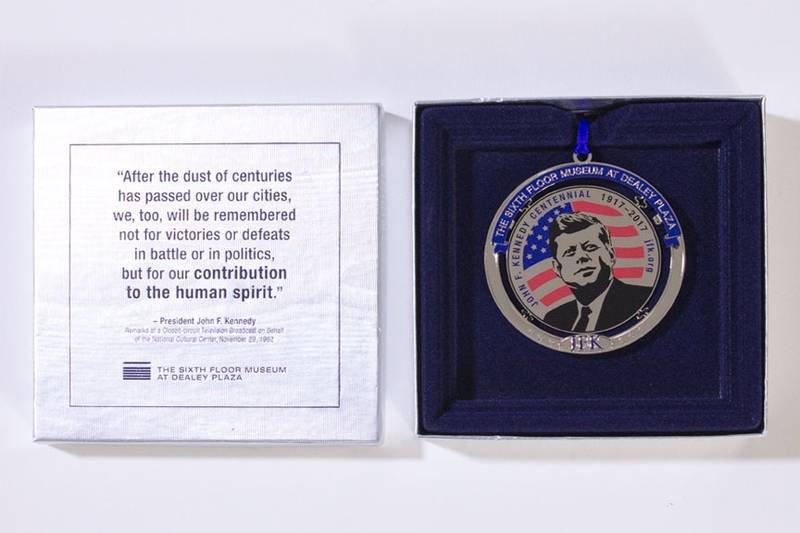 Whether you would like to remember Dealey Plaza or the John F. Kennedy Centennial, both are available at the Museum Store + Café and come in beautiful boxes perfect for holiday gifting. These ornaments are priced at $24 and $22, respectively. When in the White House, John F. Kennedy’s favorite lunch was known to be grilled cheese and tomato soup with Louis Sherry vanilla ice cream for dessert. 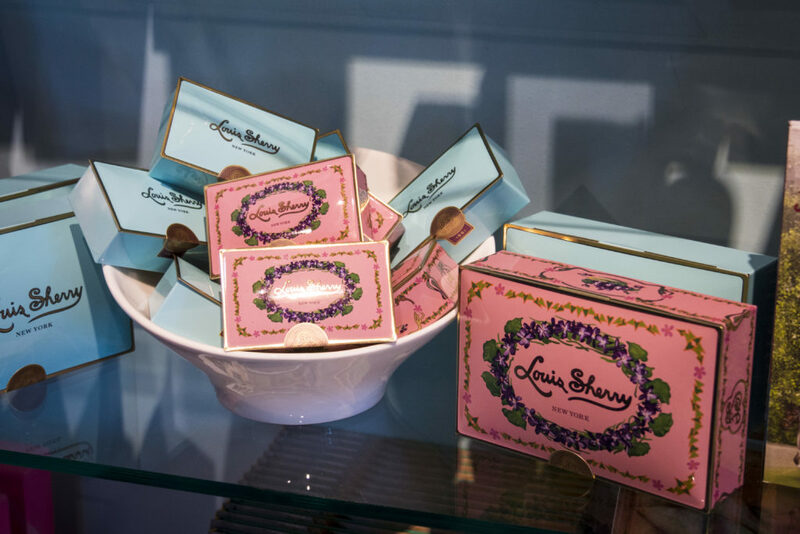 President Kennedy is said to have gifted a beautiful orchid tin of Louis Sherry’s chocolates to Jackie, but she was also fond of the Nile Blue colored tin herself. Both colors are available in two-piece and twelve-piece tins. The smaller tin costs $8.50 and would make a lovely stocking stuffer, while the twelve-piece tin, priced at $35, is a beautiful gift by itself. The Museum Store + Café also stocks the Diana Vreeland red tin if you desire a more festive color. 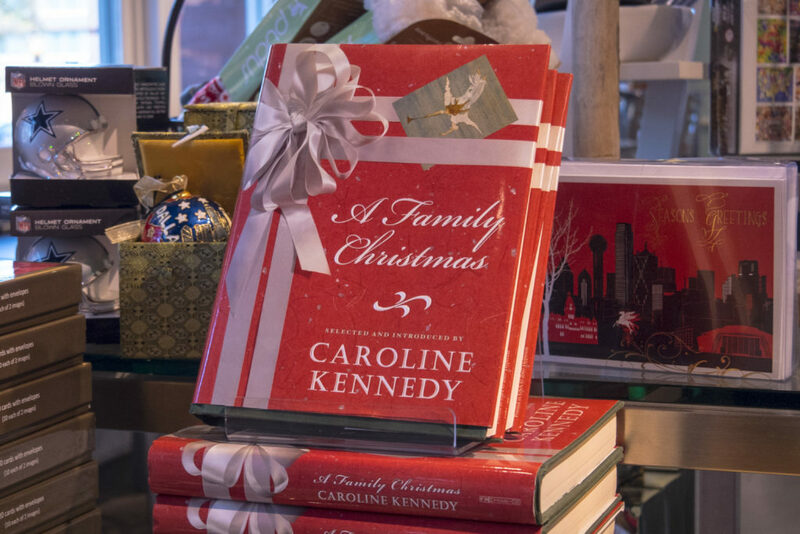 Caroline Kennedy provides an exclusive look into Christmas with the Kennedy family in her book: “A Family Christmas.” The book would make a beautiful gift, and it is filled to the brim with Kennedy holiday favorites, including poems, songs and traditions that the Kennedy family celebrated together during this season. “A Family Christmas” is priced at $26.95. 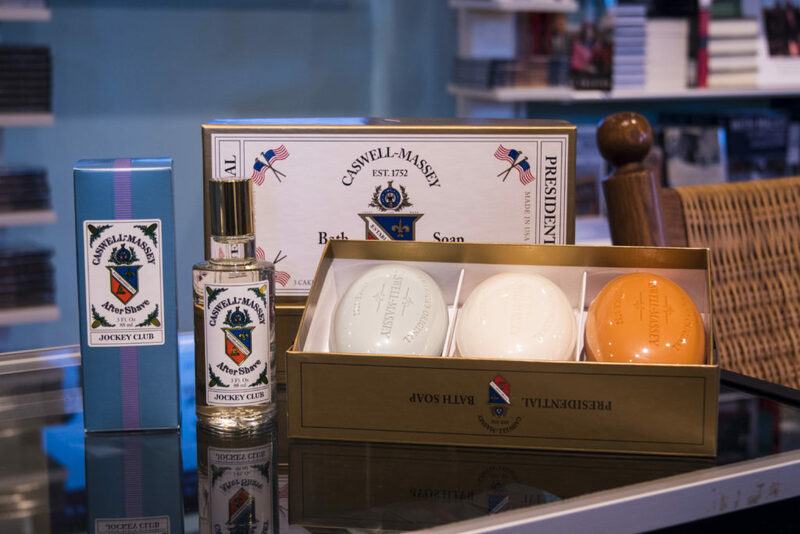 The Museum Store also carries Caswell-Massey, a brand that has been crafting fine toiletries since 1752, and supplying them to U.S. Presidents since George Washington. Two box sets including three bar soaps of President Kennedy’s favorite fragrance, Jockey Club, or a mix of the three scents preferred by Kennedy, Washington, and Eisenhower are available for $30. The store also carries aftershave and cologne in President Kennedy’s favorite scent, priced at $38 and $44, respectively. Jackie was renowned for her exquisite taste and impeccable style. Jackie studied at the Sorbonne in Paris, spoke fluent French, and was known to enjoy luxury French items, like the classic she is credited with bringing to the White House, the Rigaud Candle. Jackie’s favorite candle, Cypres, a luscious Mediterranean scent, is perfect for burning during the holidays. 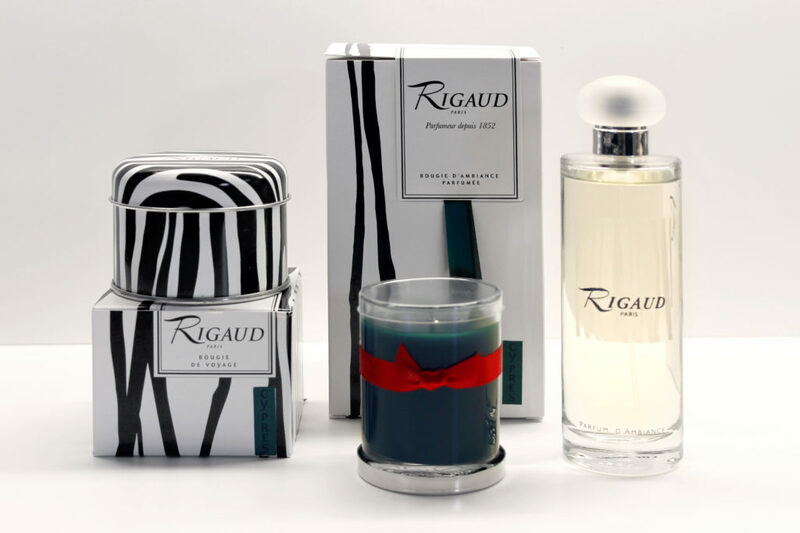 Known for their beautiful and strong fragrances, Rigaud candles will delight anyone who receives them, especially those with a taste for the finer things. Priced at $70-$99, depending upon size. *Prices and availability of above items subject to change.